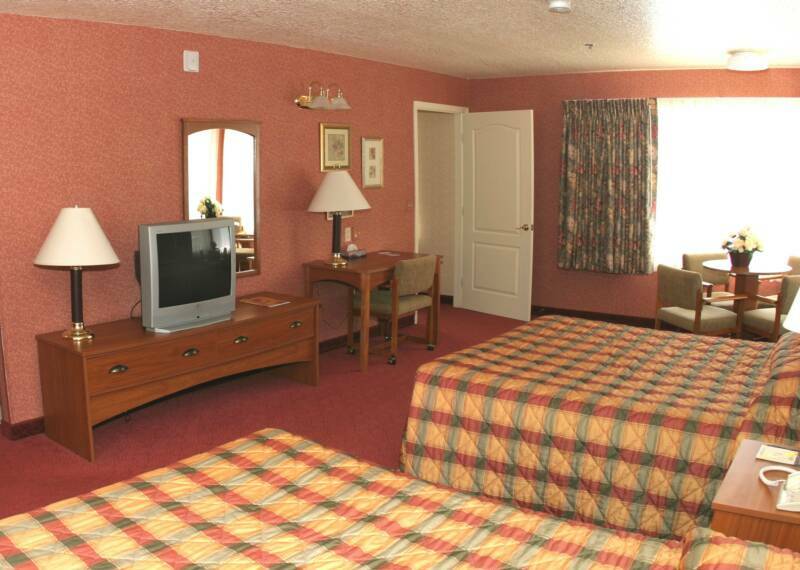 All one-room suites are furnished with two queen beds, wet bar, desk and tons of amenities. Some are available handicap equipped and one includes a roll-in shower. 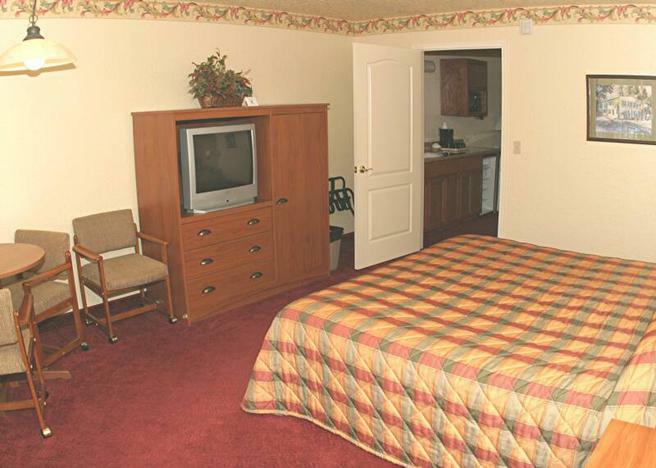 Some two-room suites are furnished with a king bed and others have two queen beds. All sitting rooms have an overstuffed chair, sofa sleeper, and desk. 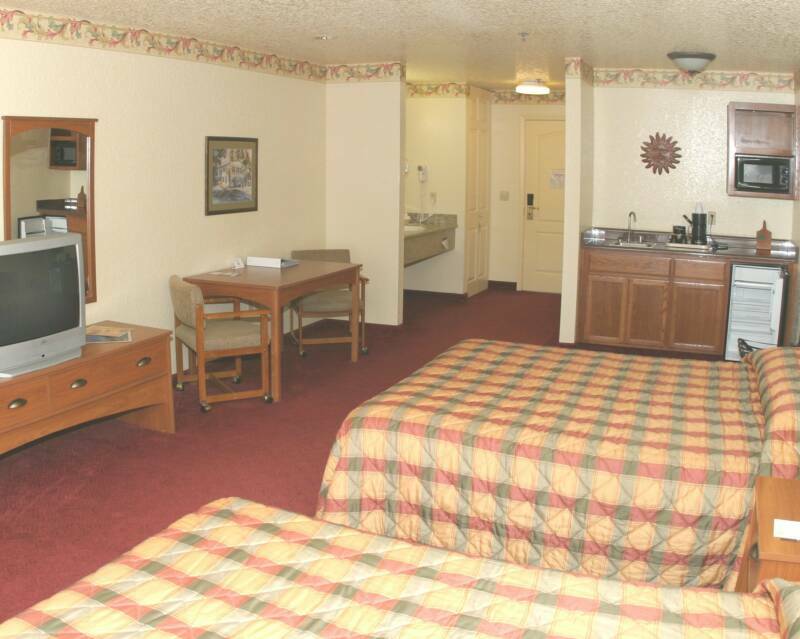 Each room offers tons of amenities and two "27 TV's. The bridal suite was designed with the bride and her court in mind. 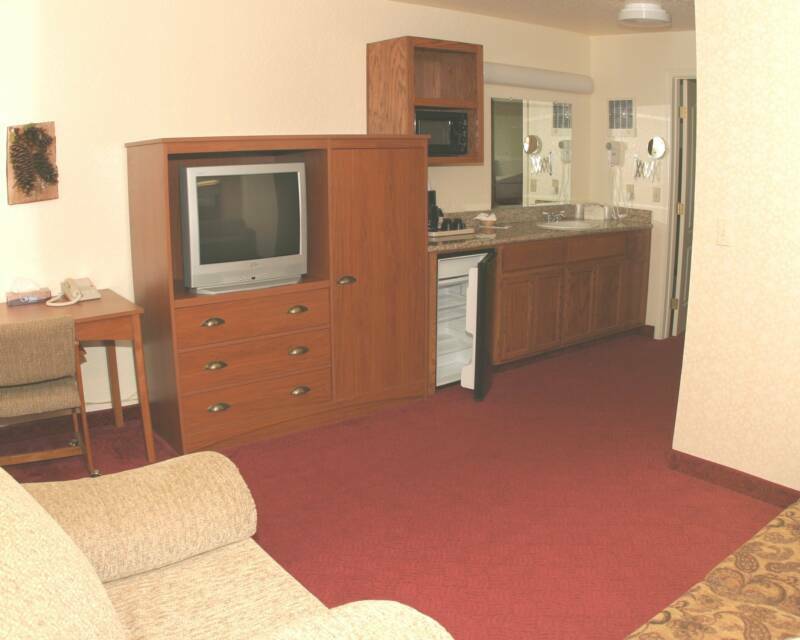 It has two queen beds in the large sleeping room with attached vanity and bath. 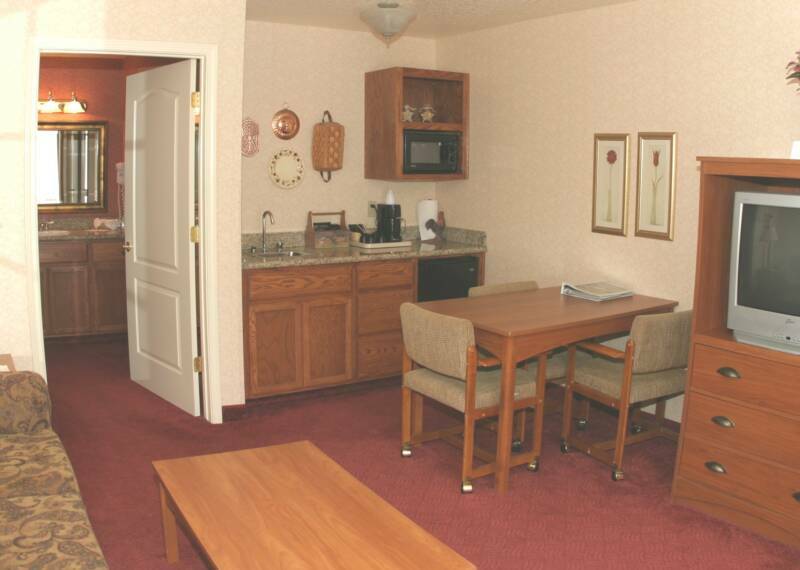 The entry area provides added room to allow more space for relatives, gifts, and dresses! 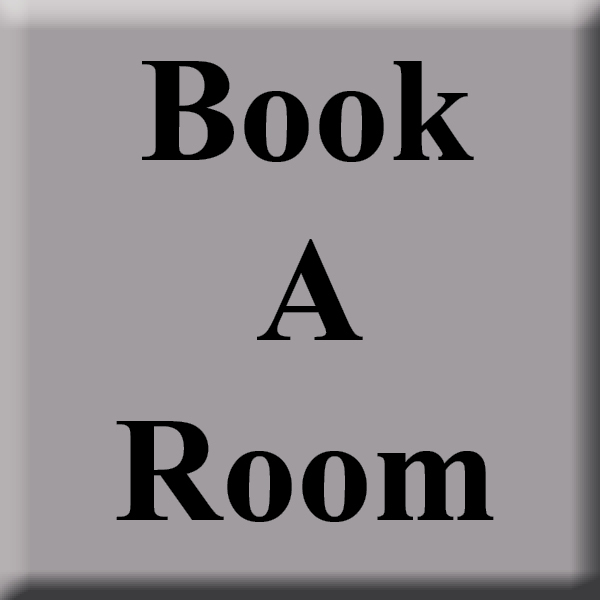 holidays and special events and may not be added together, or added to other discounts. Prices are subject to change without notice and are not valid beyond stated date. Specials are not valid on Events or Holidays.